Garlic is known as a natural health remedy for many ailments. 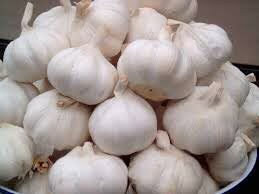 We are successful Supplier and Exporter of Fresh Garlic from Thailand. The Fresh Garlic offered by us is grown in 100% organic farms. To cater bulk and urgent requirements of buyers, we maintain a large stock of Garlic in optimum cold storage facilities. Buyers can purchase Fresh Garlic in numerous packaging options and at pocket friendly rates.